When the sweat started to drip down my back whilst on the Tube in London, I knew that the heat had finally become too much. All that talk of summer glow had gone down the pan, and the closest thing I got to that summer glow was when I opened the freezer door and glowed with joy. Nonetheless, despite that back trickle, once the normal dull drizzle returned and the weather resumed normality, we both knew that we would miss that special shimmer that only the sunshine can give us. Of course, you can buy it in a bottle, but one glance at the good quality shimmering body oil market, and you are talking about spending over £50. 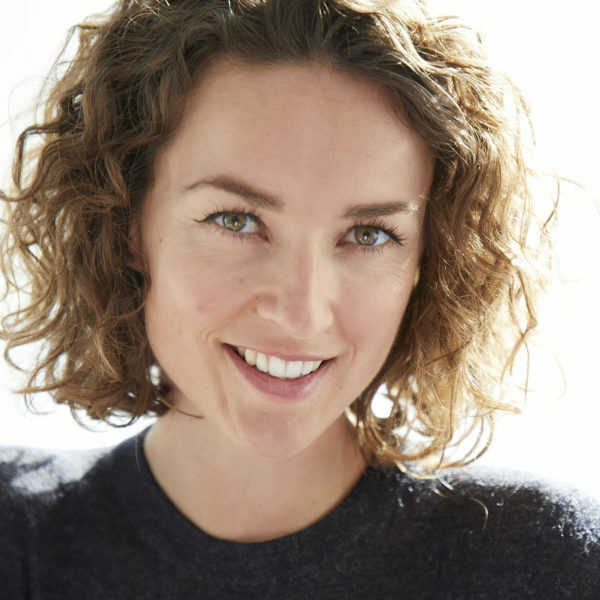 That is not up our street here at NotSuchAModelMum, so we are going to copy some make up artists and use their neat little trick to achieve that summer shimmer at a fraction of the price. 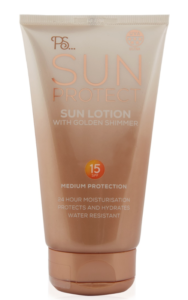 With all the dermatologists recommending that we wear an SPF every day of the year, and with most day creams now having a minimum SPF, why not just kill two birds with one stone and wear a shimmery suntan lotion all year round? Believe us, on a night out, when you are boogying away in a disco to Britney Spears (may just be us then), the glow from suntan lotion is exactly the same as any expensive high end body oil. 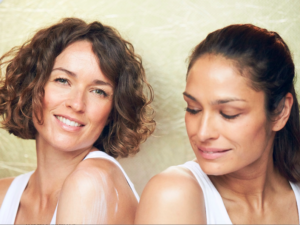 There has been many a photo shoot where the make up artist has used a shimmery suntan lotion on our faces and bodies, and it has looked natural and lovely, and thats not including the summery smell that suntan lotion has. When its raining outside, and you are stuck at home with a toddler who thinks throwing lego is funny, who doesn’t love to smell of summertime? 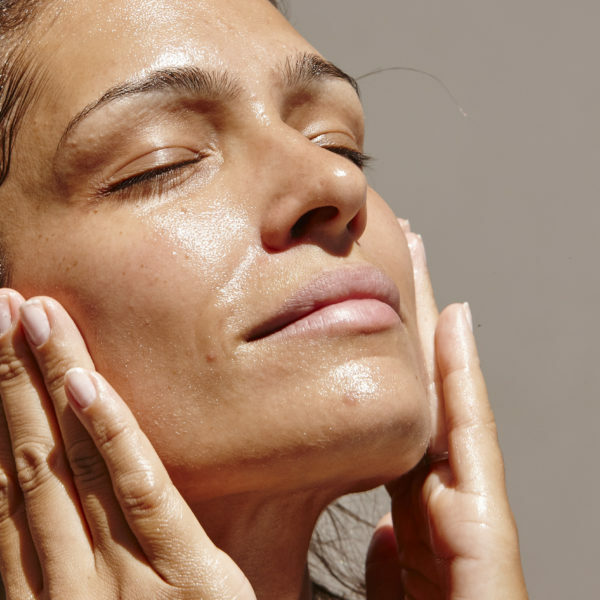 Here is a round up of our favourite shimmer SPF lotions whose shimmer particles will keep us glowing all year round, and whose sun protection will shield our skin. 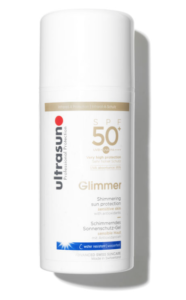 A firm favourite is from Ultrasun, and is their 50 SPF Glimmer Shimmering Sun Protection. It is water resistant, provides the highest level of sun protection, and is jam packed full of subtle shimmering, reflective particles. 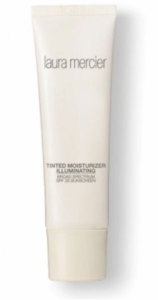 Laura Mercier’s Illuminated Tinted Moisturiser with SPF 20 has micronized pearl pigments that give a subtle shimmer and a glowing complexion. It is great at brightening dull skin, and make up glides over it effortleslt. One of our favourites is from good old Primark aka Primarni. At £3 a tube, its cheap, does what it says and has a lovely, subtle scent. It has been nicknamed,” unicorn dust” by a good friend so impressed with both its shimmer quality and price. Find it here. You can’t buy it online- only instore, but who doesnt love a quick dash to Primarni, grabbing those 10 knickers for £5 deals?! So, the next time you are lacking that summer glow, after another sleepless night, then grab yourself some SPF shimmer lotion, and douse yourself in that unicorn dust. It will make you feel full of sunshine, and ready to face any lego throwing toddler.